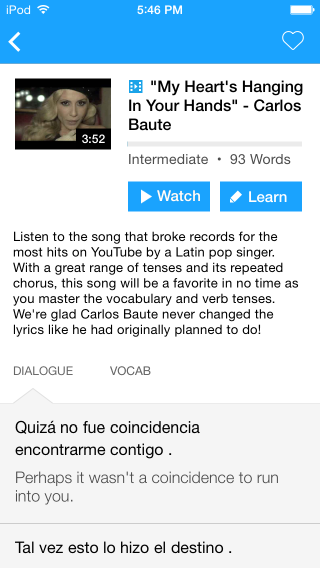 So you don’t want to sit in a class, but you’re hitting a wall just studying your target language on your own? The best language tutors can offer the best of both worlds. While classes with multiple students have their own strengths, they can also be frustrating because you can’t learn according to your personal interests, schedule, pace and style. Meanwhile, learning on your own can leave you feeling a bit directionless. With a language tutor, you’re able to study at your own pace and focus on the skills that are most important to you, but you also have an expert speaker of the language available to correct you, explain new concepts and keep you on task. Unlike a language exchange—which costs nothing but the time you spend teaching your partner your native language—you’ll have a trained teacher to explain grammar and other more complex topics. Finding a great tutor can be overwhelming, though. There are thousands of teachers, so how do you know who will work best for you? Here are some suggestions for finding the right language tutor to level up your language skills. Language tutors can be either online or in-person, and there are advantages to both arrangements. Online tutors are often cheaper and don’t require you to travel anywhere, saving you both time and money. They can also use a wide variety of technological tools to display and create images in real-time, walk you through slideshows, give you a play-by-play of sentence constructions and introduce you to authentic materials. Yet I would always choose an in-person tutor if possible. I find it helpful to have my tutor be able to draw diagrams or write out phrases and look closely at my mouth to correct my pronunciation by having me rearrange the position of my lips or tongue. In person, there’s also no problem with static on the connection or Skype fails. Craigslist (or local equivalent). Craigslist tutors are easy to find, often have availability and are usually the cheapest options. But they have the least amount of vetting. You could be getting a trained language teacher—or it could be someone who dropped out of school after fifth grade and has never taught anyone before (okay, that’s not super likely, but certainly possible). If you find a tutor on Craigslist, you should be extra careful about making sure that the tutor knows what he or she is doing. Some local Craigslist equivalents are 58.com in China, leboncoin.fr in France and loquo.com in Spain. Language schools. Language schools are probably the most expensive and least flexible option, but there’s assurance that the teacher will be qualified. Language schools include cultural institutions like the Alliance Française, the Confucius Institute, the Goethe Institute and the Cervantes Institute. Universities. Go to campus and look for foreign students who want to earn some extra money, or even visiting scholars. Students usually won’t charge as much as a trained teacher, but also won’t be as able to explain grammar depending on the level of education and training they’ve received so far. If you choose to work with a foreign student who doesn’t have experience teaching, focus on working on pronunciation and speaking with them. You could look for offerings in the various departments devoted to language and culture, review the bulletin boards around campus and even post a “seeking language tutor” flyer on these bulletin boards yourself. italki. The website italki has both community tutors (untrained) and professional teachers, all of whom teach online only. 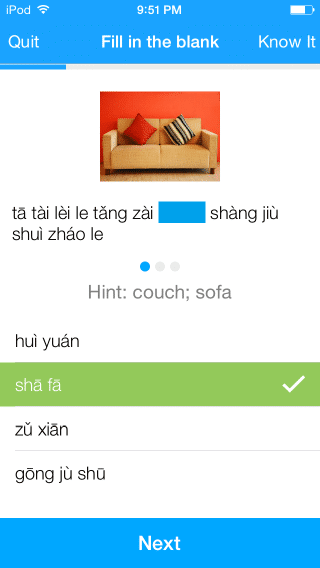 It’s one of the cheapest ways to get a foreign language tutor. Google search for language teachers. There are tons of language tutors that market themselves through blogs and websites only. In this case you’ll have to vet the teacher yourself, but there’s often a trove of online material that allows you to assess how much the teacher knows and if you’ll understand his or her explanations. Inevitably you’ll end up with lots of teachers who seem fine. When it comes time to contact some of them, here are things you can ask to see how well their teaching style will actually help you. What does a typical tutoring session look like? You want someone who focuses on speaking and pronunciation during the actual session, with things like pronunciation drills, reading aloud and having you do prepared and unprepared monologues. You should be talking at least twice as much as the tutor during the actual session. Do they assign homework and correct it outside of your tutoring time? You’ll also need to work on writing and grammar, but most of that should be done outside of your tutoring time. Ideally, your tutor will correct your work beforehand and go over it with you in the first five minutes of each lesson. Ask them if this is something they’ll do with you. Can he or she explain grammar concepts? If you’re paying a teacher, he or she should understand the grammar concepts well enough to explain them. Don’t fall into the common trap of assuming that any native speaker can explain grammar—most of them can’t. It takes special training to be able to explain grammar to a language learner. If you just want conversation practice you don’t need a grammar ninja, but you should also be paying substantially less if your tutor can’t do anything but chat with you. Do they have a set program or tailor their program to you? Many language tutor have set “packs” and they insist that you choose a tutoring program. While that does show a certain level of organization, it fails to take advantage of the main reason for choosing a tutor over a class—you get control over what you work on each lesson. You need a language tutor who will listen to your needs and create custom lesson plans. You need someone who’s willing to change course when something isn’t working or when your priorities change. If you’re looking for a long-term tutoring relationship (You are looking for a long-term tutoring relationship, right? That’s one key to making the most of tutoring in general), be prepared to do a trial session with several tutors. This doesn’t have to break the bank—many tutors offer discounted trial lessons that you should take advantage of. During the trial lesson, here are the things to look out for. The basics. Did the tutor show up on time, and was he or she prepared with a relevant lesson? Was he or she able to answer your questions to your satisfaction? Was he or she reasonably organized? A surprising number of tutors don’t meet these basic requirements. Talk time. An exceptional language tutor will always make sure that you’re doing the majority of the talking. He or she shouldn’t spent time lecturing you about grammar or anything else—you should do at least 75% of the talking. For tutors who are also regular language teachers, this can be a challenge because they’re used to talking at a room full of students, not engaging with one student one-on-one. But tutoring sessions should never feel like you’re in a class in which you happen to be the only student. The tutor-student dynamic is fundamentally different, and a great tutor’s style should reflect that. Sparks. This is someone you’re going to meet with, one-on-one, for (hopefully) months or years. Whether or not you feel a connection to the person and enjoy his or her style and manner of being is important. Going to your language tutoring session should be a joy, not a chore, and having a tutor you like can go a long way. This doesn’t mean you just want a “nice” tutor—a good tutor is enjoyable but not afraid to be firm about homework or to correct you mercilessly. Hiring a language tutor can be one of the fastest ways to learn a language. It allows you to focus on the language skills that are most important to you and to get specific assistance with the skills that you struggle with. But a language tutor can also be a waste of money (and they can be expensive!) 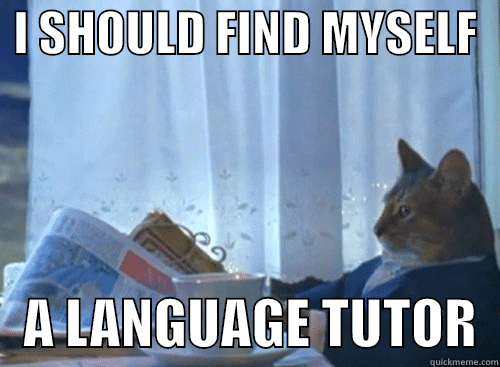 if you don’t take the time to find a language tutor who knows what he or she is doing. The best tutoring arrangements last for months or years, so you want to take the time to find someone who will support you on your language journey and encourage you to learn more. Take your time to find an awesome language tutor and you’ll be rewarded with quick progress towards fluency in your target language! 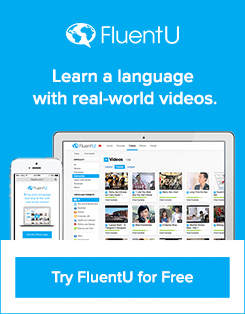 Since you’ve read this far, you’re obviously serious about learning languages, so you may just love FluentU.